dekker, Barstewardsquad and Delboy777 like this. Agreed, sounds exactly the same as when I was deliberately trying to turn the engine over with the kill switch on to stop it firing following an oil change. Used to turn over on the blade but zip from the gsxs. That kind of confirms the thoughts of the dealer i took it to today in Aberdeen. The bike is two years old this month but has a three year warranty, so i recovered it myself to the dealer this afternoon and although the mechanic was not there the other lad reckoned it was the kill switch gone faulty. They say they have never had one go on a Suzuki but there is always a first i suppose. Ive left the bike with them and they will have a look on Monday when mechanic is back. Repair is being done under warranty so not too bad. Luckily i have access to transport to take it to dealer. When i find out i will re post on this thread what the result was. Beaker and Barstewardsquad like this. Ok so i now know what was wrong with the bike and why it wouldnt start. A simple mistake on my part and a lesson learned. 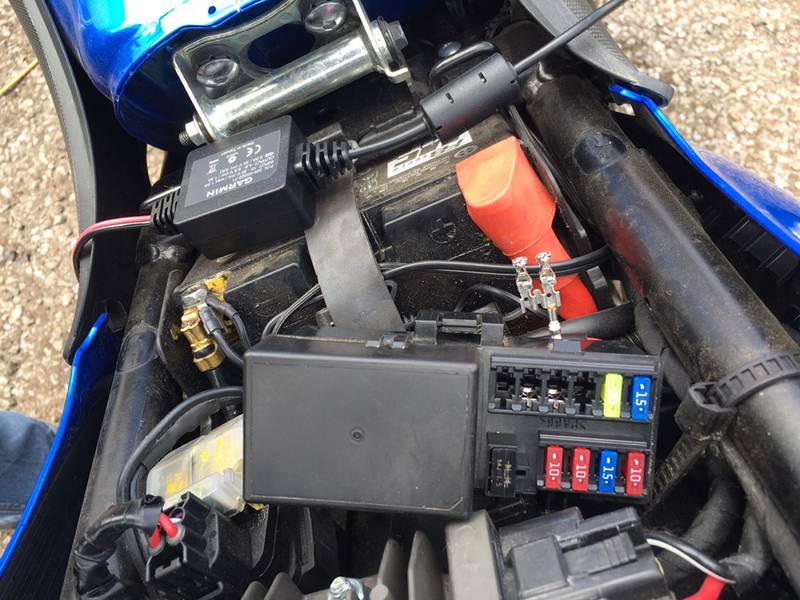 Story is when i bought the bike it had been fitted with heated grips that were wired directly to the battery, i dont like that its a fire hazard AFAIC. So i would wire them in through a relay to protect the battery and in doing so i was looking for a switched live to activate the relay. Taking a look beside the diagnostic plug i came across a connector with a blanking plug fitted to it. Removing the blank i discovered two switched lives there so decided to use one of those to feed the relay........BIG MISTAKE !! It turns out the blank has a bridge inside it that i didnt notice and when the plug was removed it cut of the feed to the ECU !! No wonder the bike wouldnt go the ecu was getting no signal to waken up. Moral of the story, dont interfere with plugs that seem to do nothing. Fitted blank back on, and bike fired up first time. !! Luckily the dealer is doing through the warranty otherwise it would have been a VERY expensive mistake on my part. Be warned dont remove that blank from the connector !! That's great that you found the source! Here you go. This is where I took my supply from. Sounds like a plan to me. Apparently removing the blanking plug on the connector beside the diagnostics plug puts bike into safe mode to protect itself. Last edited by Delboy777; 04-16-2019 at 01:36 PM.